Birth date and place c. 1825 Crookstown, Ballitore, Kildare, Ireland. Baptism date and place 23 Jan 1825 Athy, Laois & Kildare, Ireland (tentative). 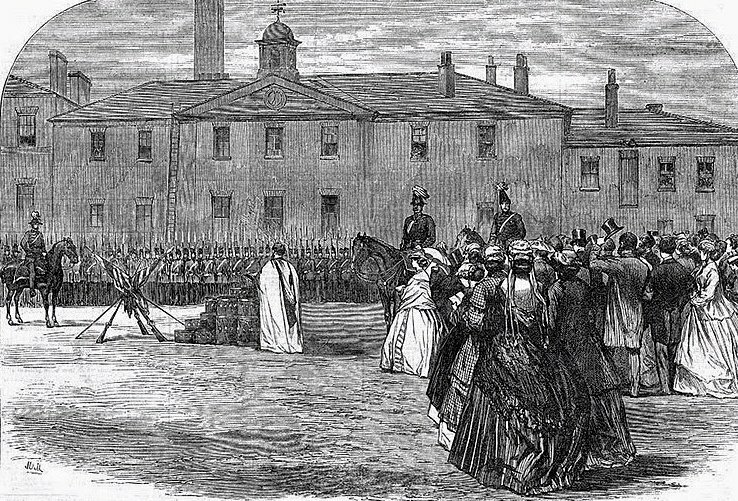 England, Wales & Scotland Infantry Barracks, Regent Road, Salford, Manchester, Lancashire, England (1851). 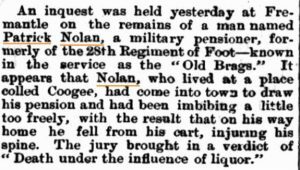 Death date and place 6 Apr 1884 Fremantle, Western Australia. Cause of Death: Injured spine. Death under the influence of liquor (Coroner’s Inquest). Will and Probate Letters of Administration: 30 Jul 1884. Probate: 31 Jul 1884 Supreme Court of Western Australia. Death Notices and Obituaries Daily News 8 Apr 1884. Inquirer & Commercial News 16 Apr 1884. Regiment No. and Rank #2026 Private. 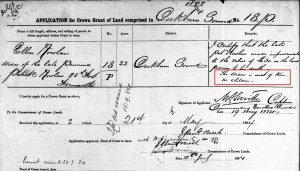 Attestation date and place 15 Jul 1843 Dublin, Dublin. Service/Campaigns East Indies 4 years 1 month. Turkey & Crimea 2 years 1 month. Malta 2 years 6 months. 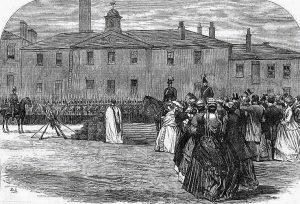 Regimental Courts Martial Absent without Leave 12 to 22 Dec 1852. Tried and sentenced to 28 days imprisonment with hard labor. In confinement 22 Dec 1852 to 24 Jan 1853. 29 times entered in the Regimental Defaulters Book. Discharge date and place 3 Jan 1865 Fermoy. Length of Service 21 years 129 days. Post Discharge Residence Waterford ….. [undecipherable]. 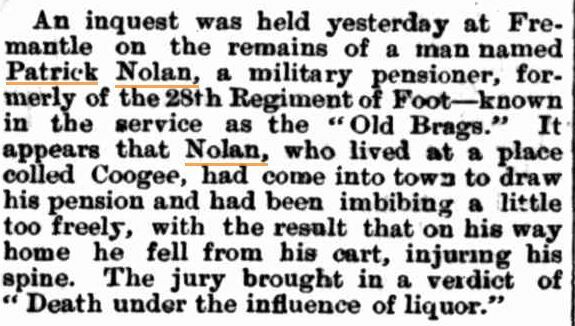 Post Discharge Pension District Waterford (1865). 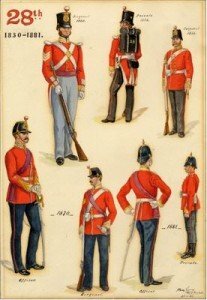 2nd Liverpool (1865). 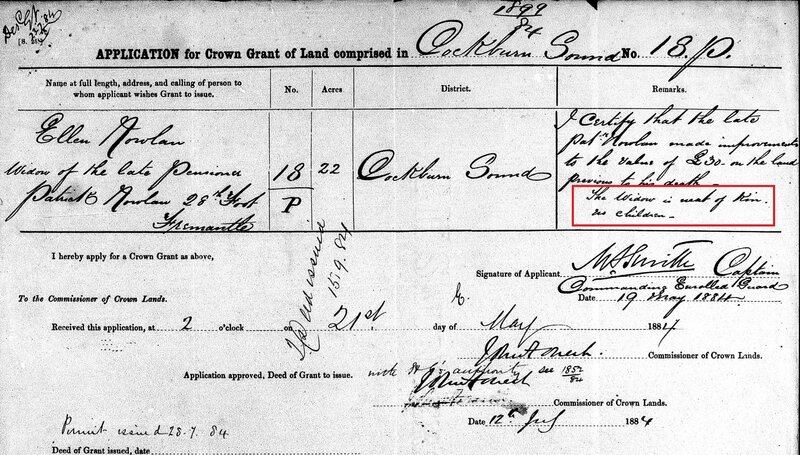 Land Grant/Purchase 3 Nov 1869 Lot 637 Grey Street, Fremantle for £6 (purchased at public auction). 3 Jun 1872 Lot 602 Fremantle for £6 (purchased at public auction). 15 Sep 1884 Lot P18 Cockburn Sound 22 acres (grant). Title issued to Ellen Nowlan widow, no children.